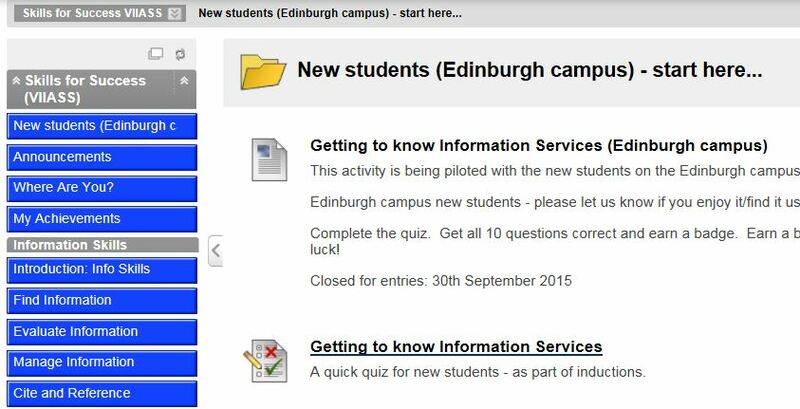 …in our competition for Edinburgh campus new students. Complete the quiz in Skills for Success – get all the answers correct and you will be automatically entered into our prize draw. Three lucky winners – drawn from all correct entries received by the 30th September – will receive a £20 cinema voucher. Once you are fully enrolled you can log into Vision, the university Virtual Learning Environment. For a quick overview of the system see the Student Guide to Vision. You can try the quiz as often as you like – your highest score will count. The competition closes on the 30th September 2015.